You heard that right – on bitcoin. While ethereum, the second largest blockchain by market cap, and other smart contract protocols, have been the choice for the majority of entrepreneurs interested in creating new crypto tokens, with a sidechain created by RSK, bitcoin will now have the ability to host the new fundraising mechanism as well. In fact, the original concept of an ICO was first started on the bitcoin blockchain itself back in 2013 – though with comparatively limited blockchain infrastructure to that of ethereum today – by self-proclaimed inventor of the idea, J.R. Willett, who raised a total of half a million dollars for the token “mastercoin,” later renamed to omni. And sometime in late November, Temco, a South Korea-based blockchain startup targeting supply chain management, will take advantage of both the seminal idea and RSK’s technology, launching a public token sale with the goal of raising $19 million. Stepping back, RSK has been working on its Turing-complete smart contract sidechain for bitcoin since early 2016. The smart contracts are written in the same dominant language as ethereum – that being Solidity. 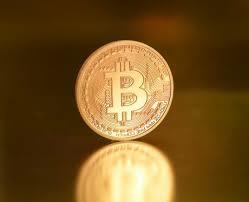 And the network is fueled by a bitcoin-pegged cryptocurrency dubbed “smart bitcoin,” or SBTC. Still in beta, only a handful of crypto projects are deploying smart contracts on the RSK sidechain currently. Yoon is adamant that bitcoin possesses the potential to become much more than “just payment cryptocurrency,” seeing the upcoming launch of Temco’s ICO as indicative of this. Temco’s crypto token will be used for a variety of different purposes. The startup’s main interest is in giving small- and medium-sized enterprises (SMEs) the ability to track products throughout the supply chain, from its origin to its final consumption – a hot use casefor the nascent technology today. According to many enthusiasts, a blockchain will give businesses a cost-efficient and immutable method for storing supply chain data. In Temco’s case, the token will be used by both vendors and consumers for things like payment for products, storage of data and subscription to business intelligence tools. In addition, consumers will be awarded points – later converted into these tokens – for general participation, such as tracking their purchases from data stored on the blockchain and reviewing these purchases to ensure product quality, in the ecosystem. This blockchain architecture, as Cho explains, is an important tool for SMEs that can offer “better insight, better operating system [and] better planning” at minimal overhead costs to vendors without a pre-established infrastructure to monitor product movements. As such, Cho expects about 40 percent of the money to build the infrastructure to come from the public token sale. The rest of the money needed will be raised in private investment deals – one of which was recently announced: South Korea’s largest venture capital firm, Korea Investment Partners invested an undisclosed amount into the company. The public sale, which will accept both bitcoin and ether, will be available to investors around the globe, with the exception of people in China and the U.S. Pointing to “legal risk,” Yoon explained that regulation surrounding token sales in these two countries are either met with hostility (such as China) or is in the process of being fully fleshed out (such as the United States). All of these details about the upcoming Temco ICO are really no different than if the sale were being conducted on ethereum instead. They function in exactly the same way, for the same purposes of raising initial funds from the public through a highly fast-moving and largely unregulated fundraising vehicle. The difference, in the eyes of both Yoon and Cho, is that other blockchains, including ethereum, cannot sustain the creation of “real products” for mass adoption like bitcoin can. Adding to this, Cho also highlighted that the transactions per second (TPS) speed of the RSK sidechain was on par to that of online payments giant, like PayPal. For these reasons, Yoon and Cho anticipate that one day token projects will choose to launch on bitcoin from the get-go and even ethereum-based token issuers will migrate to bitcoin for RSK’s features. However, at present, the RSK sidechain is still in development. Having launched the beta version in January, the platform is currently only accessible to a select group of developers, business partners and bitcoin miners. And it’s currently run by a collective group of blockchain companies, dubbed the “federation,” who oversee the value being moved on- and off-chain. But there are plans not only to open up the sidechain to anyone and everyone but also to decentralize the federation somewhat. Having secured a reported 80 percent of all bitcoin miner support, RSK announced in May that it was looking to implement significant upgrades that would address the very same scalability issuesbeing tackled by many of the world’s biggest blockchains today. And Yoon, for one, is optimistic about the promise of smart contracts and blockchains, especially bitcoin to become much more than just what it’s used for today.